It’s that time again! Convention Time! This year will be a great one considering that I want to put my best work out there. As you can see from this post and previous ones, I am a fan of Doctor Who. I started to watch the new series that featured Christopher Eccleston and Billie Piper on Netflix. At first glance the show was hilarious. I loved the suspense, the story, the effects, and the overall campy tone of the show. 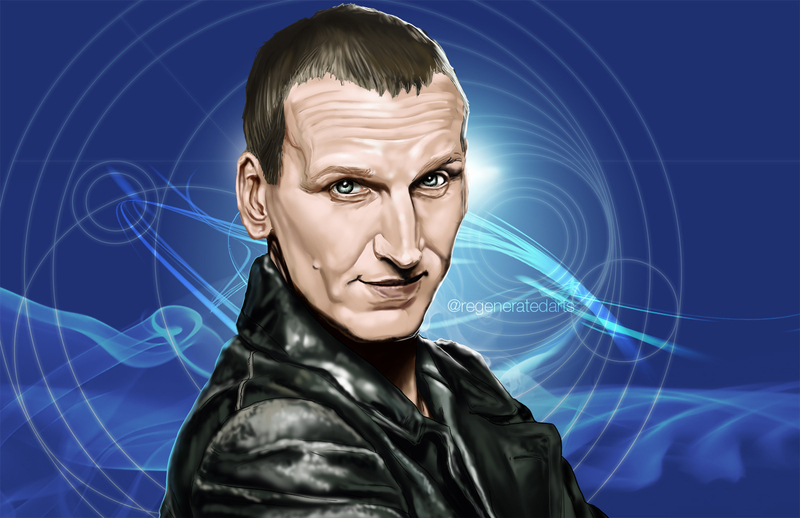 By the end of the first season, I was sad to see Eccleston go. But since then and his regeneration into David Tennant, I have been a fan ever since. At any rate, comic conventions are really fun and I hope to attend a few more than I did last year. It’s big mix of everything: cosplay, amazing art, and you can even meet your favorite actors at some cons. My favorite con so far has been Baltimore Comic Con. Wizard World comes in at a close second since it’s a 4 day event and I always become so attached to the atmosphere. Until then, I will be preparing to bring more work to the masses! If you have been to a comic con recently or in the past, which one was your favorite?